Mayor Phil Marks, St Maria Goretti teacher Adriana Watters, Belmont Forum marketing manager Sarah Moore, City of Belmont’s Robin Garrett, and students Sadie Dinh and Keisha Desmond with their school’s winning banner. ST Maria Goretti Catholic Primary School will represent City of Belmont schools in the statewide Banners in the Terrace competition after winning the local contest. 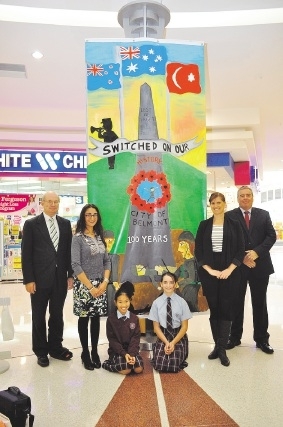 The schools were asked to design a banner to promote this year’s theme Local Government – Switched On. Each school was supplied with paint, brushes and a banner to bring their creative ideas to life. City of Belmont Mayor Phil Marks said he was impressed by the calibre of artwork displayed by the primary school students this year and judging them was a difficult task. “The City of Belmont is a proud supporter of this event as it showcases the unique talents of our youth,” he said. 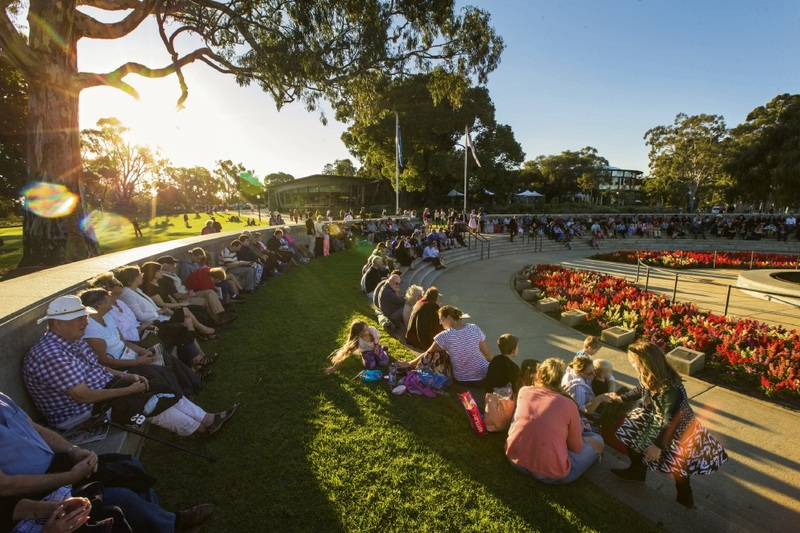 The Belmont banners will be on display until June 19 at Belmont Forum Shopping Centre, and the statewide competition banners will be on display in St Georges and Adelaide terraces between July 26 and August 8.